The tube squeeze was designed for one handed use, this product easily squeezes the contents of the tube from the bottom upwards. A unique feature allows the last drop to be squeezed from the nozzle of the tube. 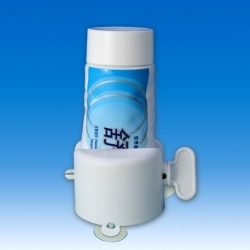 Suitable for toothpaste, lotions, salves and other household products. Good little aid for me as I suffer arthritis in my hands and cannot squeeze the toothpaste tube. I bought one for my friend too and she loves it.